I’m 30 years old…bc-b…can I apply for the post? Form bharne ke liye percentage honi chahiye give reply to my gmail please. Sir Abhi June me ssc cgl tier 1 ki exam hai so uske liye dobara form fill Krna hoga Kya?? Bcoz Mene 2018 me form fill kiya tha bt uski exam Abhi tk nhi hui hai.. 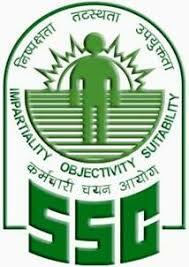 When SSC lower division clerk vacancy will be out? Sir, my dob 20/10/2002. Can I apply for CHCL. And I am appearing class 12th. Hello Sir, Thanks for sharing this information with us. Can you tell me when will SSC CGL notification be released? Hello Sir, Thanks For The Nice Post And Great Information. Sir please reply , can i aply for SSC CHSL 2019 ? 30 Years For OBC. Wait For Official Update. Sir currently i am pursuing my 12th class and my date of birth is 01.01.2001 .sir please tell me ‘can i apply for ssc chsl 2019? Sir m SSC me login kese Kru mne ek online registration Kia h SSC pr to wo id or password maag ra h……………..
Sir please tell me u told us that SSC chsl form would be released may be 25 Jan but that was not released please say when will it be released.. I am waiting SSC chsl…..please please please reply my question…. sir,if any information of chsl starting application date tell me. Parvej, It May Release Soon…Stay Connected With Us…..